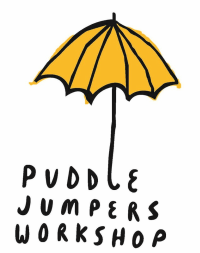 Puddle Jumpers Workshop age group runs from 18 months to three years of age. We strongly encourage you to start the admissions process when your child is between 14 and 20 months old. Children, once admitted to the waitlist, are then eligible to be enrolled at Puddle Jumpers Workshop between the ages of 18 months to 2 years of age. ​We rarely start children after they have turned two years old and prefer to start children who are 18 months old. ​We understand the importance of the bridge to preschool. In our experience, children in this age range play well with one another, with older children often nurturing and helping the younger ones.